Duquesne University abides by the participant standards outlined in the DoD Voluntary Education Memorandum of Understanding. Duquesne University is a proud participant in the Yellow Ribbon GI Education Enhancement Program (Yellow Ribbon Program). 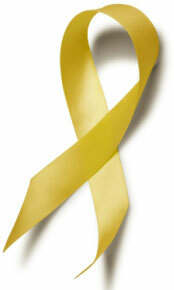 The Yellow Ribbon Program is a provision of the Post-9/11 Veterans Educational Assistance Act of 2008. This program allows institutions of higher learning (degree granting institutions) in the United States to voluntarily enter into an agreement with VA to fund tuition expenses that exceed either the annual maximum cap for private institutions or the resident tuition and fees for a public institution. The institution can contribute up to 50% of those expenses and VA will match the same amount as the institution. For clarification of the details of the Yellow Ribbon program, call our VA Work Study Office to speak to a Student Veteran. 412.396.2135. Download more information. You may be eligible if you served at least 90 aggregate days on active duty after September 10, 2001, or were honorably discharged from active duty for a service-connected disability after serving 30 continuous days following September 10, 2001. Note: Children of a member of the Armed Forces who died in the line of duty on or after September 11, 2001, may be eligible for Post-9/11 GI Bill® benefits under the Marine Gunnery John David Fry Scholarship Program. Watch an overview video of the Post 911 GI Bill® from the Department of Veterans Affairs. Montgomery GI Bill® Active Duty (MGIB-AD) For active duty members who enroll and pay $100 per month for 12 months and are then entitled to receive a monthly education benefit once they have completed a minimum service obligation. Montgomery GI Bill® Selected Reserve (MGIB-SR) For Reservists with a six-year obligation in the Selected Reserve who are actively drilling. Notification to Duquesne's certifying official is required for each semester of enrollment. Upon receipt of this documentation, the Office of the Registrar will contact the Department of Veterans Affairs to process your benefits information for the semester. Please feel free to contact Kathy Scheer in the Office of the Registrar at 412.396.6211, or scheer@duq.edu if you have any questions about using your veteran's educational benefits at Duquesne. Students who receive Chapter 33/Post 911 cannot receive non-federal aid (i.e. Academic Scholarship, Duquesne Grant, Tuition Remission, etc.) to exceed the billable tuition and fee charges of the school of enrollment in combination with Chapter 33/Post-9/11 funding. Service members who are planning on using Tuition Assistance should discuss enrollment with their Education Services Office to more fully understand the Tuition Assistance Program for their specific service branch. For questions regarding the use of your Tuition Assistance benefit at Duquesne, please contact Karen Hartupee in Student Accounts at 412.396.6588, or hartupeek@duq.edu. The College Scorecard provides information to help prospective students as they evaluate options in selecting a school. The College Navigator is a consumer tool that provides school information and outcome measures for veterans and service members. Such information includes the student loan Cohort Default Rate (CDR), which is much lower than the national average. The Consumer Financial Protection Bureau helps students make informed financial decisions about how to pay for college. Financial aid guidance and loan counseling with financial aid professionals are available to all students. Our staff carries out Duquesne's mission by helping you learn about and pursue all avenues of financial aid and/or scholarship support for which you may be eligible. Explore the complete explanation of available financial aid and Title IV of the Higher Education Act as well as the differences between private and federal loans. "The reason I chose Duquesne for my undergraduate degree was because of the quality of education I knew I would get. The reason I stayed for my graduate degree is because of Duquesne's ability to help veterans reach their career goals regardless of the field of study." "Growing up in the Navy family I learned the importance of service with honor and community. I chose Duquesne because the University emulated those values while giving me the education the education to fulfill my goal of making a difference."